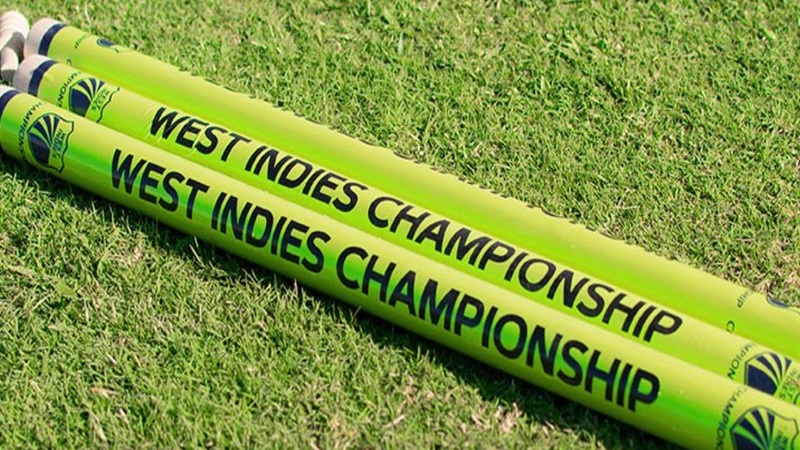 Jamaica Scorpions remained bottom of the 2018-2019 West Indies Championship following the 10th and preliminary round of matches at the weekend. 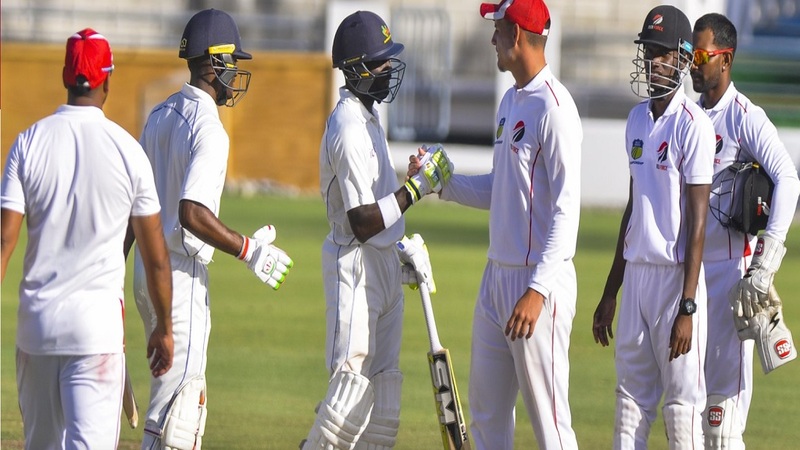 A star-studded Barbados Pride batting line-up defied the spin duo of Nikita Miller and Akim Fraser to log a close two-wicket victory and complete a season sweep over Jamaica Scorpions at Sabina Park on Sunday's final day. Over in Antigua, a strong bowling performance – led by Romario Shepherd – earned Guyana Jaguars an important six-wicket victory over long-standing rivals Trinidad & Tobago in their day/night contest and practically handed them the West Indies Championship title. At the same time – Devon Thomas hit his sixth first-class hundred and West Indies fast bowler Alzarri Joseph bagged eight wickets to lead a string of valuable performances that propelled Leeward Islands Hurricanes to a crucial six-wicket victory over Windward Islands Volcanoes at the Vivian Richards Cricket Ground. These results meant that the Jaguars finished their schedule of matches for the season with 154.2 points – effectively laying claim to the Headley/Weekes Trophy, the symbol of West Indies first-class supremacy, for a fifth straight season. The Jags are provisionally 23 points clear of the Hurricanes, their nearest rivals, who still have a mathematical chance of clinching the title, as they still have one match in hand against the Pride, starting on Thursday. The Hurricanes, however, face the highly improbable, if not impossible task of reaping the maximum 24 points against Pride to be able to surpass the Jaguars to be able to take home their fifth West Indies first-class title for the first time since they shared with the Jags 21 years ago. Nkrumah Bonner, playing his first match of the season and for the Scorpions for the first time in exactly four years, narrowly missed out on his second first-class hundred, as he led the home team’s recovery, after they sunk to 27 for five inside the first hour, having been sent in to bat on Thursday. Bonner led the way with 97 and Scorpions captain Paul Palmer made 69, as they put on 169 for the sixth wicket to bring some respectability back to their side’s batting before the hosts lost their last five wickets for 54 in 79 balls and were bowled out for 250 in their first innings. Left-hander Jonathan Carter continued his rich vein of form for the Pride with a top score of 91, becoming the fourth batsman to pass 600 runs for the season, to lead a steady Pride reply and give them a first innings lead of 61 in the face of Miller becoming the first bowler to take 500 career wickets in the Championship. Pride went on to make 311 in their reply to Scorpions’ first innings total of 250. Roston Chase brought back memories of his destructive bowling against India three years ago at this same venue when he snared 5-63 from 21.4 overs with his uncomplicated off-spin and Keon Harding supported with 4-80 from 13 overs, as the Scorpions batting failed to post a serious, challenging target. They were bowled out for 218 in their second innings. Veteran Jerome Taylor struck early in the Pride chase of 158 for victory to leave them on 26 for two after they had resumed the final day on five without loss and needing another 153 to win. However, the visitors' captain Shamarh Brooks stroked 71 to lead his side’s charge, as Miller and Fraser made inroads into their batting to cause some anxiety before they reached the magic number. Pride replied with 161-8. However, Pride were batting one-man short as Jomel Warrican had not taken the field from the start of the match because of illness. FINAL SCORES IN THE MATCH: Jamaica Scorpions 250 & 218; Barbados Pride 311 & 161-8. Shepherd, the season’s leading pacer, captured eight wickets to carry his tally of scalps to 37 at 20.13 apiece, as the Jags completed their seventh win of the season. Shepherd claimed a career-best 5-24 from 9.1 overs to undermine the Red Force batting in the first innings, as the visitors were bowled out in the first hour after the interval for meals on the opening day on Thursday for 120. Anthony Bramble cracked 62 to lead the Jags batting, but Red Force’s three frontline pacers – Daniel St. Clair, Odean Smith and Anderson Phillip – shared eight wickets, as the home team were bowled out for 165 in the final hour before the, just 45 runs ahead. Veteran Red Force leg-spinner Imran Khan also reached a milestone, becoming the fourth bowler to capture 400 career wickets in the Championship, when he trapped Veerasammy Permaul lbw. Several of the Red Force batsmen – led by St. Clair with 31 – then got starts without carrying on in their second innings, as the visitors posted 206. Shepherd led the demolition of their batting with three wickets to leave the Jags to chase 161 runs. Jaguars captain Leon Johnson hit the top score of 76 and shared 111 for the third wicket and anchored his side towards the finish with left-handed opener Tagenarine Chanderpaul, son of West Indies batting legend Shivnarine Chanderpaul, who was not out on 43. FINAL SCORES IN THE MATCH: Red Force 120 & 206; Guyana Jaguars 165 & 163-4. Chasing 166 for victory, Thomas struck 16 fours and four sixes in an undefeated 104 from 105 balls in just over 2 ½ hours of batting to join the list of batsmen that have scored more than 600 runs for the season and more than 4,000 career runs in the Championship. He shared 142 – unbroken – for the fifth-wicket with Terence Warde, not out on 38, to usher the Hurricanes over the finish line for the sixth time this season. Hurricanes took control of the match from the first day when they dismissed the Volcanoes for 200 and reached 132 for four at the close. Sheno Berridge was the pick of the Hurricanes bowlers with 4-34 from 12 overs, Joseph snapped up 3-36 from 10.2 overs, Quinto Boastwain supported with two scalps and off-spinner Rahkeem Cornwall became the first bowler to claim 50 wickets for the season, when he dismissed former WINDIES Under-19 captain Emmanuel Stewart for an 18-ball duck. Volcanoes captain Sunil Ambris indicated his batting was returning to a purple patch with the top score of 92, taking him past 2,000 runs in the Championship, but no other batsman passed 30. A resolute 69 from Thomas and an unbeaten 59 from Jaison Peters gave the Hurricanes a handy first innings lead before Joseph captured 5-66 from 20 overs to blow away the Volcanoes top order batting in their second innings. Audy Alexander defied the odds to gather an even, unbeaten 50 to extend the Volcanoes innings and leave the Hurricanes with a routine chase. FINAL SCORES IN THE MATCH: Windward Island Volcanoes 200 & 226 vs Leeward Islands Hurricanes 261 & 168-4.